Prime Location & Property! 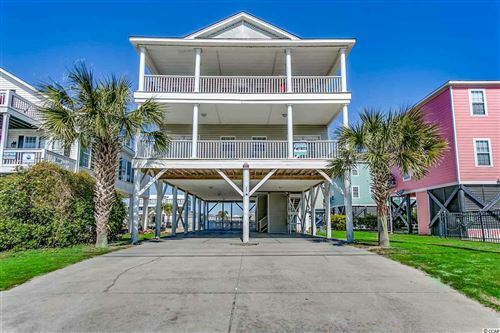 1634 Waccamaw Dr sits on an huge, 2nd row-beach lot with views of the ocean and inlet! This FULLY FURNISHED, 8 bedroom, 4 full bathroom home offers two living room areas, two full kitchens, spacious bedrooms with heart-pine floors, brand NEW roof & a swimming pool! 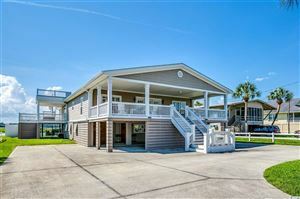 The perfect getaway for your family beach vacation or investment property! On the main level you will find an open floor plan, large living room, 4 bedrooms and a spacious kitchen offering granite countertops and stainless steel appliances. Enjoy your mornings & evenings with the ocean breeze on your large front porch! The second level you will find another large living room, 4 additional bedrooms and open kitchen with granite countertops. Two large balconies on the front and rear of the home overlooking the blue Atlantic and the beautiful Inlet! Enjoy the day on the beach or by the pool! Great rental income for investment! Only steps away to the ocean and fun in the sun! Conveniently located and only minutes to Marlin Quay Marina and Gulf Stream Cafe. Schedule your showing today! Don't miss out on this fabulous piece of paradise. CONTACT US ABOUT 1634 SOUTH WACCAMAW DR.
We respect your online privacy and will never spam you. By submitting this form with your telephone number you are consenting for Cathy Spires to contact you even if your name is on a Federal or State "Do not call List". $895,000 221 N Waccamaw Dr.
$1,599,000 1346 S Waccamaw Dr.